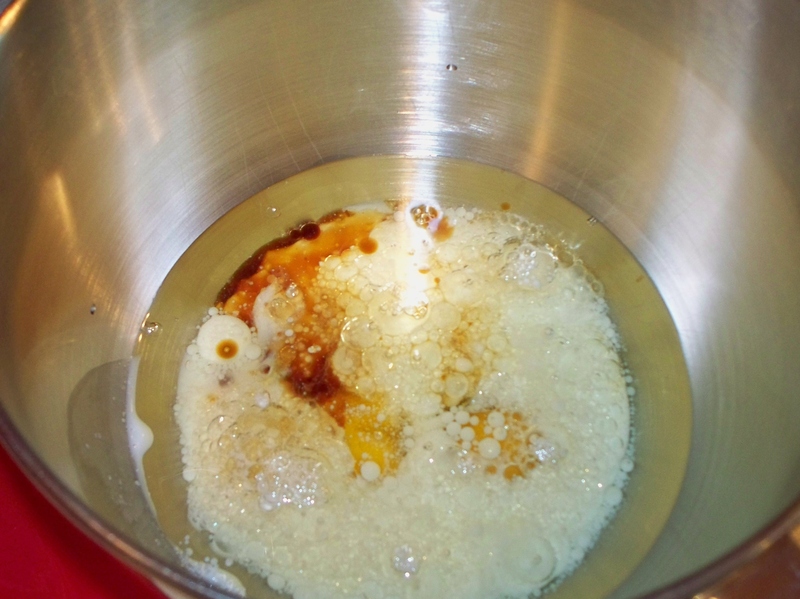 In a stand mixer, blend together oil, eggs, buttermilk, vanilla, and distilled vinegar. 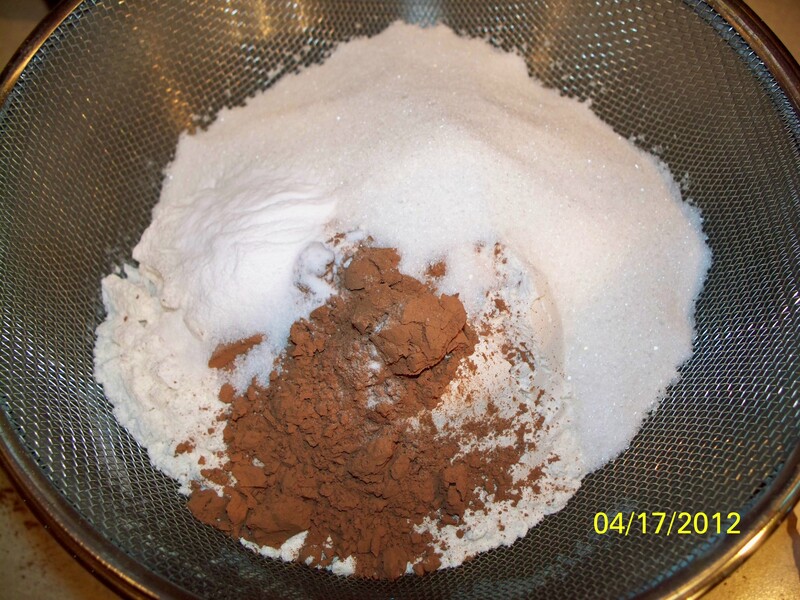 Sift together flour, cocoa, sugar, baking soda, and salt. Slowly add to wet ingredients. 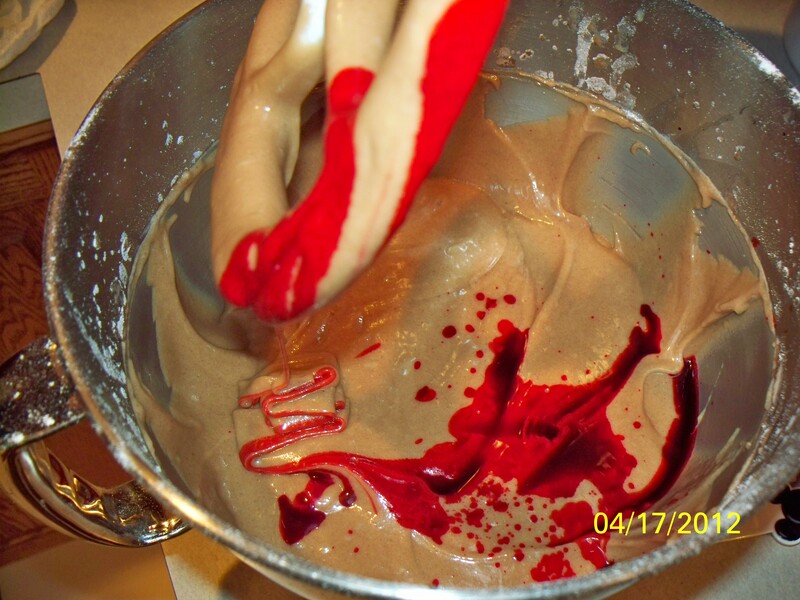 Add food coloring and blend well. Fill cupcake liners about 2/3 full. Bake for 12-15 minutes until toothpick comes out clean. 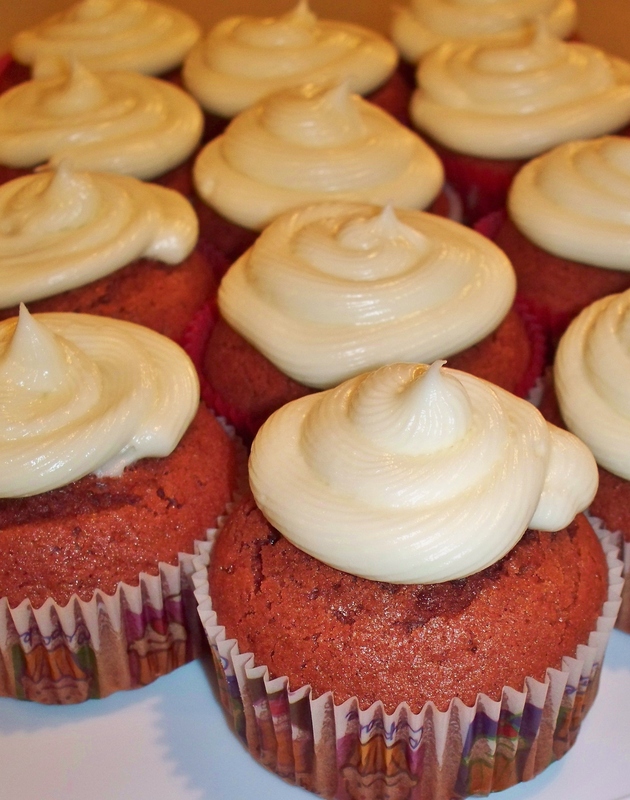 Top with Cream Cheese Frosting (recipe follows). ENJOY!! 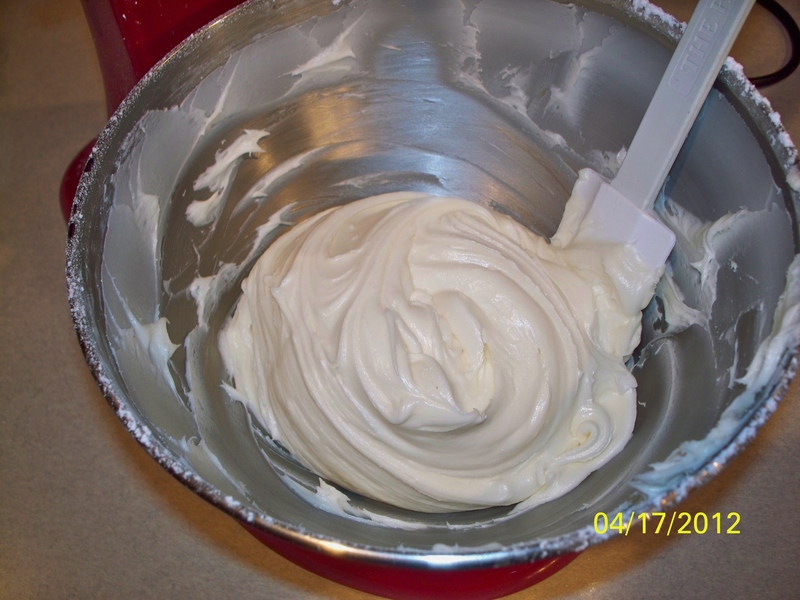 Cream all ingredients together. Add more powdered sugar until desired consistency. 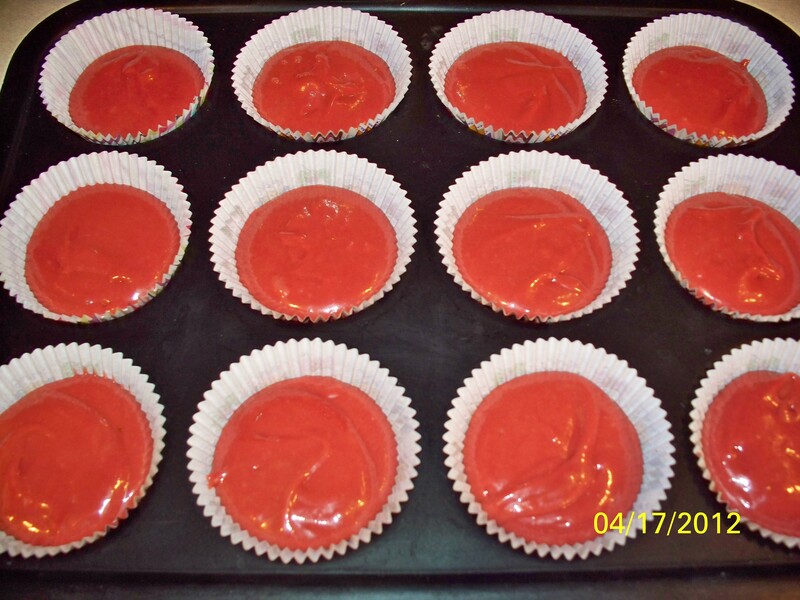 Fill piping bag and pipe frosting on cupcakes. I have the passion to bake and love trying new recipes! I work at a school for children with disabilities as a manager of a cafe. This cafe allows the students learn the ability to work with the public and in the near future I am going to be able to bake with the students and let them learn about the love and passion there is to baking. :) I prefer baking over cooking although I do love to cook as well. I hardly ever repeat a recipe. I love my family, dogs, friends, and job. One day I will have my own bakery and I can not wait. Until then I am going to continue baking my little heart out. Enter your email address to follow this blog and receive notifications of new posts I add all the time!